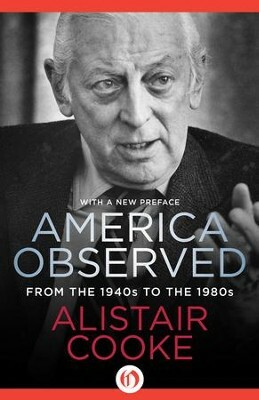 Few journalists have covered the American scene as thoroughly as Alistair Cooke did. In addition to presenting the Sunday-night Letter from America broadcasts for the BBC, Cooke was the Guardians chief US correspondent for more than a quarter century, filing daily dispatches about the former colonies for his British readers. Selected and introduced by Professor Ronald A. Wells, the pieces in America Observed showcase the full range of Cookes omnivorous interests and impressive reportorial skills. From baseball to Billy Graham, Harry S. Truman to Chappaquiddick, he depicts the defining characters and events of the American century with elegance and insight. "The Untravelled Road" is a poignant and perceptive snapshot of the civil rights movement in Montgomery, Alabama. "The Legend of Gary Cooper" eloquently summarizes the unlikely career of Americas leading man, and "A Woman of Integrity" delivers the news of Marilyn Monroes death with empathy and honesty. "The Ghastly Sixties" is a concise, candid, and ultimately inspirational chronicle of that turbulent decade. Remarkably prescient and endlessly entertaining, the journalism collected here is some of the twentieth centurys finest. Alistair Cooke, KBE (19082004), was a legendary British American journalist, television host, and radio broadcaster. He was born in Lancashire, England, and after graduating from the University of Cambridge, was hired as a journalist for the BBC. He rose to prominence for his London Letter reports, broadcast on NBC Radio in America during the 1930s. Cooke immigrated to the United States in 1937. In 1946, he began a tradition that would last nearly six decadeshis Letter from America radio appearances on the BBC. Cooke was also beloved as the host of PBSs Masterpiece Theatre for twenty-one years. He wrote many books, both collections of his Letters from America and other projects. After his death, the Fulbright Alistair Cooke Award in Journalism was established to support students from the United Kingdom seeking to study in the United States, and vice versa. I'm the author/artist and I want to review America Observed: From the 1940s to the 1980s - eBook.